A handsome blond doctor, beautiful red haired nurse, an unfortunate patient and various items from in and around a hospital all feature in Doctor Love, a 5 reel pokie from Microgaming. It’s all presented in the cartoon style which this developer is famed for, and has colourful symbols as well as some nice bonus features to go with them. With free spins, multipliers, wild substitutions, scatter rewards and even a gamble game, players will be out of their sick-beds and enjoying this fun pokie in no time, while as an added bonus, the amount bet per spin can start at just 0.01 and go all the way up to 40.00, making it ideal for most budgets. An abstract blue and purple swirly image sits behind the reels, which seem disproportionally small in comparison, but we will ignore that issue and focus on how the game works instead. Players will need to head to the control buttons underneath the main game to determine how much they want to stake per spin, with the option to activate just 1 of the 20 paylines for a wager of 0.01. Any winning combinations that appear on the other 19 lines won’t be paid however, so a minimum bet of 0.20 is needed to have the whole game in play, while adjusting the stake per line up to 2.00 gives us our maximum 40.00 bet per spin. The pink-shaded payout schedule shows how the bonus features work along with how many times the line bet is won each time matching symbols land on an active one, on adjacent reels running from the left side. 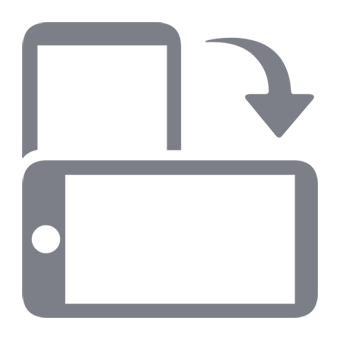 A stethoscope will be worth 5x, 20x or 100x when 3, 4 or 5 land across any live payline, while a sample cup with something unidentified inside it will be worth the same. Other symbols include a pair of crutches, a bedside chart, flowers, teddy bear and an ambulance, with the nurse being the most valuable when she rewards players with 5x the line bet for landing on just 2 reels. If she appears right across a line, the payout is a substantial 1500x, but even more can be won with the bonus symbols. Doctor Love hands out some extra medicine with the bonus rounds of his game, starting with the Doctor himself who is worth from 2x to 5000x the line bet when he lands across 1 to 5 reels, while also being a wild symbol, so he will fill in for anything except the scatter if that will help to complete a prize-winning combination. A love meter, which is covered in hearts, is a scatter symbol, paying out 2x the total stake when it stops in any 2 positions on the reels. 3, 4 or 5 of them will equal wins of 4x, 15x or 100x the stake being awarded, followed by entry to a free spins game, where 10, 15 or 20 spins play out with all wins tripled. 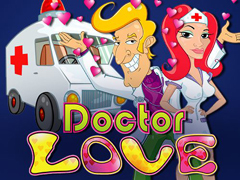 Like many pokies from Microgaming, Doctor Love has a gamble game which players can choose to enter after any winning spin. Doubling the win is achieved by correctly guessing if a playing card will be revealed as a red or black one, while quadrupling it is done by getting the suit correct. The gamble can be repeated if it was successful, potentially turning a small win into a big payout, but a note of caution, as any wrong pick loses the triggering bet and anything won in the round so far. Colourful images and some nice bonus features should help Doctor Love cure players of any boredom, as it’s a fast-paced pokie where plenty of winning spins can bring in some nice payouts. The reason why the reels seem a little small in comparison with the overall game isn’t clear, and maybe playing this on a small screen could be tricky, but apart from this, it’s an all-round quality game.